Let your creativity pop with a unique make and display art experience that just might get you hooked. 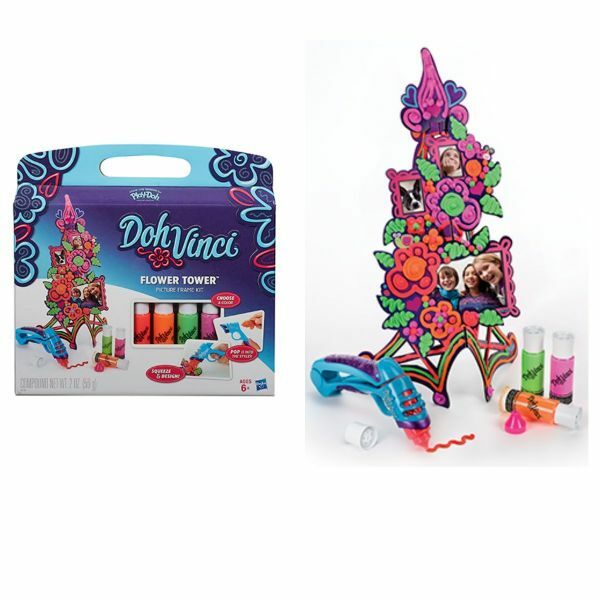 Brought to you by the makers of Play-Doh modeling compound, DohVinci design kits let you decorate and personalize your world in so many colourful ways. It's super easy for almost anyone to do! Just use the included air-dry design compound and Styler tool to create dimensional designs with bold 3D lines. And unlike most paints or markers, don't worry if you make a mistake. Just wipe off your design and try again! Once you're ready, show off your beautiful creation as it air dries! Slide the Deco pop tube (4 tubes included) containing colourful design compound into the styler. Squeeze to create colourful artwork with a fun dimensional effect! 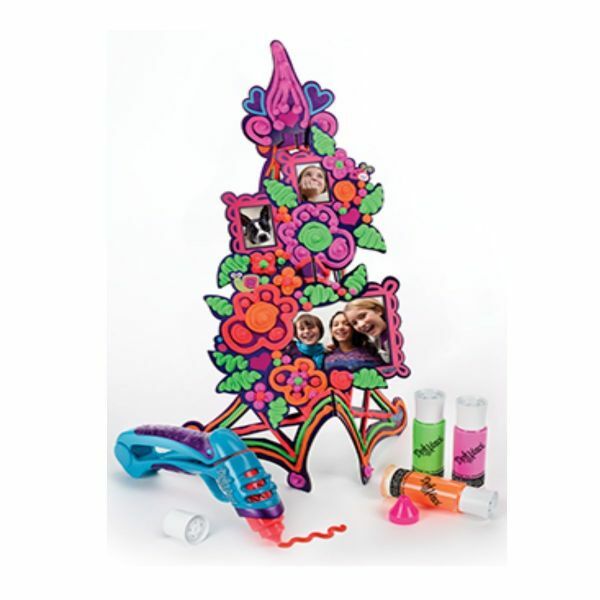 Design your own Photo Frame Tower. Add some flower power to your favourite photos! Frame your pictures in dimensional DohVinci designs for a fun way to decorate your space and show of the photos you love. 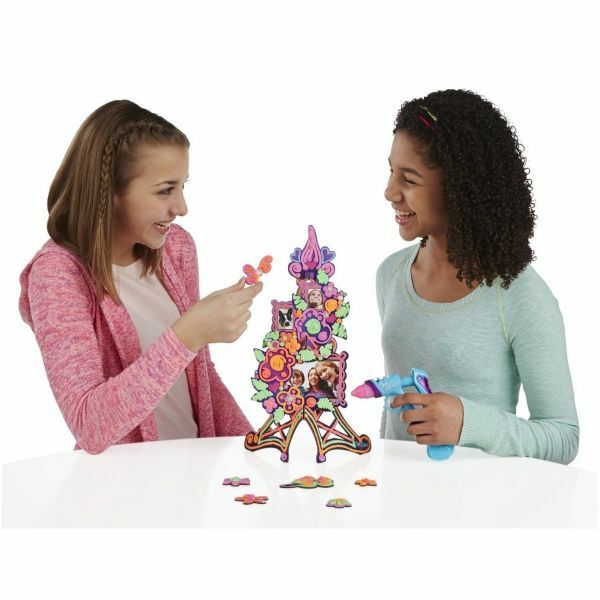 Create your designs on the different pieces of the tower, then add your photo and put the tower together. 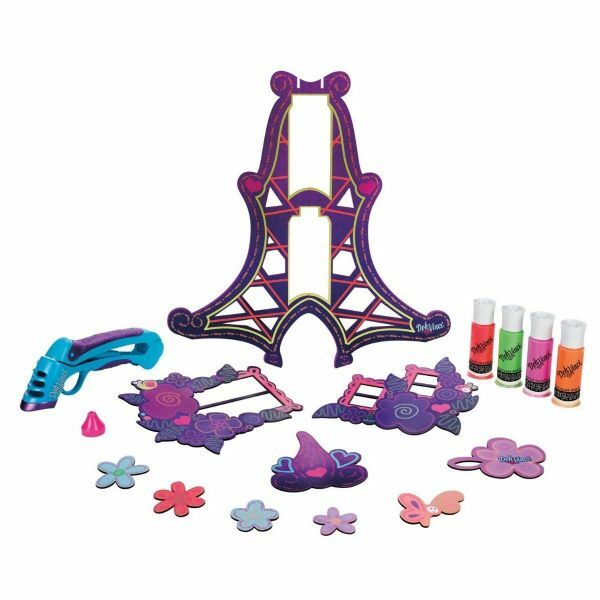 For even more creative fun, this kit also includes a specialty tip that you can twist onto a deco pop tube to make cool star shaped lines. Four (4) Deco Pop tubes (Colours may vary). 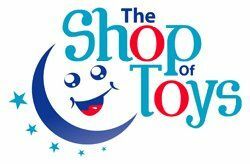 Not suitable for children aged 3 years or younger. -- Small parts.-- Choking Hazard.